Today, I achieved a personal first and got to see an astronomical phenomena that few people will. While attending an open house event at my local Aviation Museum, I managed to meet up with a man who had set up a stargazing station and was showcasing some serious equipment. After waiting my turn, I got to peer through his special telescope with a sun filter. 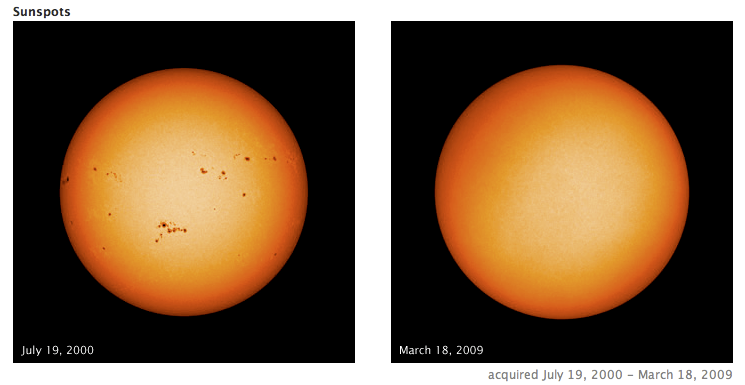 And what I saw, as the title would suggest, was something truly amazing – sunspots! As some may know, sunspots have remained something of a mystery to astronomers and philosophers until the Scientific Revolution of the 16th century. It was at this time that Galileo observed them using his own telescope, which he did by projecting the image onto sheets of paper and recording the imperfections in the light. The discovery was important in helping to disprove the prevailing theory that the Earth was at the center of the universe – aka. the Geocentric theory. 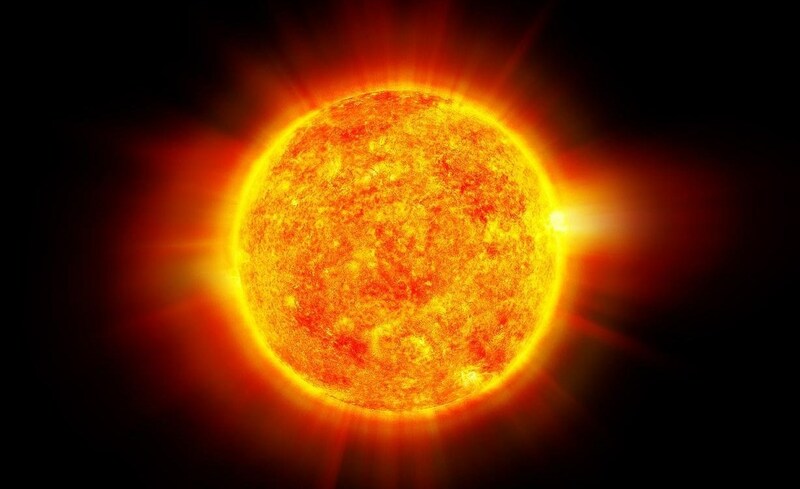 Up until this time, European philosophers were living under the impression that the Sun, like all celestial bodies that were believed to orbit the Earth, was a perfect sphere. By showing it to be riddled with imperfections, Galileo placed an additional nail in the philosophical basis of this idea. This in turn helped pave the way for the acceptance of Copernicus’ theory of a Heliocentric universe. As with his observations that Jupiter had its own set of moons, that the Moon itself did not have a polished crystalline surface, and that Copernicus’ theory resolved numerous logical inconsistencies in the other model, Galileo helped to establish the field of truly scientific astronomy. Today, I learned that observing sunspots continues to be a difficult thing, since direct observation with a telescope is impossible without sun filter. Not only that, but many people mistake high-magnification for high-power, which in turn leads to images that are not of the best quality. And observing them can by difficult since they go through cycles. As the kind host of the solar observation explained, and this NASA graph shows, sunspot activity goes through a cycle that repeats every eleven years. As we are currently at the edge of a peek in the cycle, its prime time to get a look at sunspots in the sky. The last time anyone could get a good look was in 2001, and the next opportunity won’t come until 2023. So I feel pretty privileged, both as a geeky, space-enthusiast and a regular person. If you know someone who has access to a telescope with a solar filter, or just happen to live near an observatory that conducts tours, get out there and spot those surface imperfections. I’m not exaggerating when I say its a rare treat!